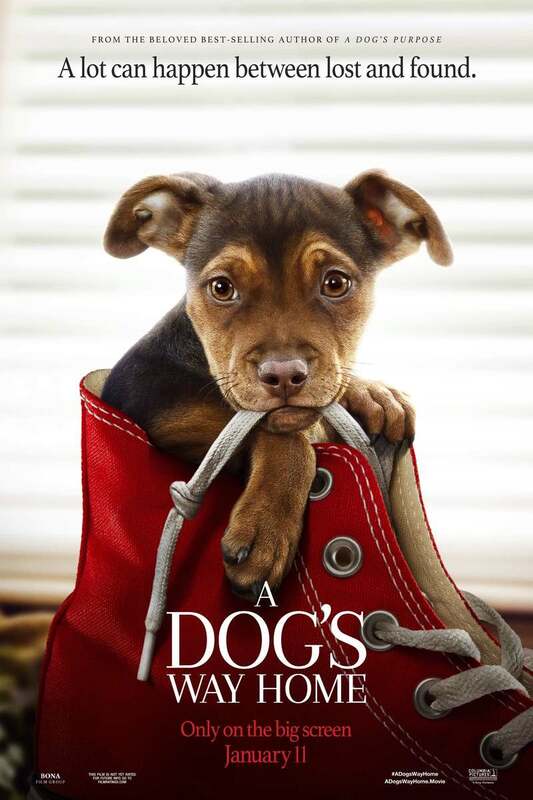 A Dog's Way Home DVD and Blu-ray release date was set for April 9, 2019 and available on Digital HD from Amazon Video and iTunes on March 26, 2019. A young dog is extremely bonded to his new owners. The family reciprocates the puppies' love and are happy to welcome him to their family. When the family decides to move, it's their intention to take the canine with him. Unfortunately, plans change, but the dog doesn't realize it. With his family over 400 miles away, the dog has to overcome many obstacles, if he ever wants to be part of the family again. DVDs Release Dates is the best source to find out when does A Dog's Way Home come out on DVD and Blu-ray. Dates do change so check back often as the release approaches.